The country's grid-connected solar power generation capacity has crossed the 5,000 MW mark, with Rajasthan on top, followed by Gujarat and Madhya Pradesh, government said. On the auspicious occasion of Makar Sankranti/Pongal, the installed capacity of solar power in India crossed the milestone of 5,000 MW yesterday. The cumulative installed capacity has reached to 5,130 MW with installed capacity of 1385 MW in current FY. The state-wise break-up of 5,130 MW is given in the Table below. The state of Rajasthan stands 1st in the country with 1264 MW, followed by Gujarat (1024MW), Madhya Pradesh (679 MW), Tamil Nadu (419 MW), Maharashtra (379 MW) and Andhra Pradesh (357 MW). Government has set the ambitious target of generating 100 GW of solar power by the year 2021-22 under the National Solar Mission. It is envisaged to generate 60 GW ground mounted grid-connected solar power and 40 GW through roof-top grid interactive solar power to fulfil the 100 GW of solar power. The Ministry has also fixed year-wise targets to monitor the solar power generation in the country. The target for the current year is 2,000 MW and next year target is 12,000 MW. The Ministry is putting all efforts through various schemes of Central Government and State Governments to achieve the targets. It has been planned that around 18,000 MW tender should be out by 31st March, 2016. To achieve above stated objective, the Ministry of New & Renewable Energy has initiated several projects like Scheme for Development of Solar Parks and Ultra Mega Solar Power Projects; Scheme for Development of Solar PV Power Plants on Canal Banks/ Canal Tops; Scheme for setting up 300 MW of Grid connected Solar PV Power Projects by Defense Establishments under Ministry of Defense and Para Military Forces with viability Gap Funding; Scheme of setting up 1000 MW of Grid- Connected Solar PV Power Projects by CPSUs with Viability Gap Funding; Scheme for Setting up of 15000 MW of Grid connected to achieve this target. Solar PV Power Projects by NTPC/NVVN; Setting up of 2000 MW Grid connected solar power with Viability Gap Funding through Solar Energy Corporation of India (SECI). This apart, an ambitious scheme has been launched by the Ministry for roof-top solar installation. 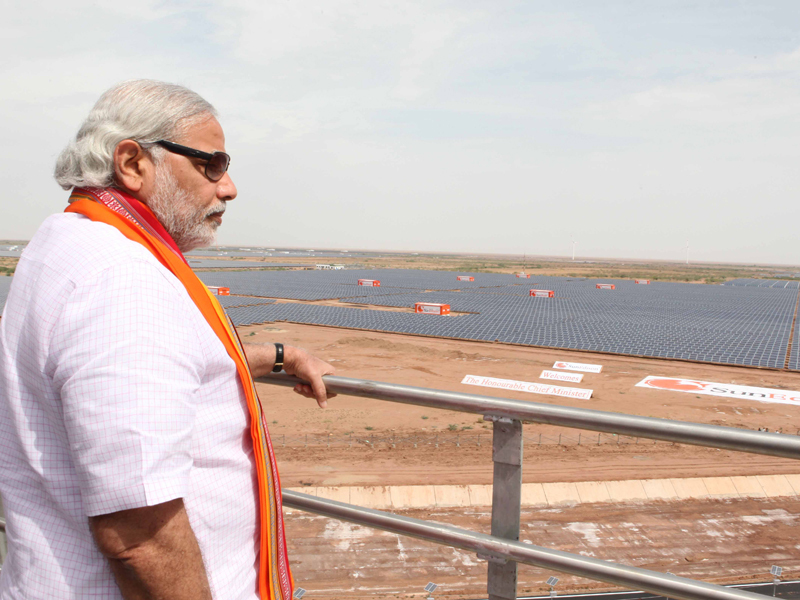 Various state governments are coming up with solar power projects under their own policies. While Madhya Pradesh plans to build world’s largest 750 Mega Watts (MW) solar power station,Chhattisgarh government has decided to make make roof-top solar power plants mandatory for new buildings of government, semi-government establishments and institutional bodies. Himachal Pradesh also stepped up its solar power initiatives by approving Solar Power Policy-2016 for setting up of solar photovoltaic projects in the state. While, Karnataka Renewable Energy Development Limited (KREDL) is striving hard to meet the target of producing 1,000 MW of solar power, Kerala is planning for a Rs 25.98 crore worth solar project in Kannur.